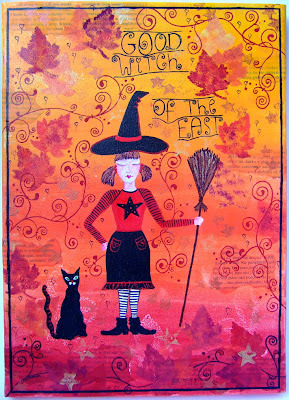 "Good Witch of the East"
LOVE THE NEW PAINTINGS!!!!!! 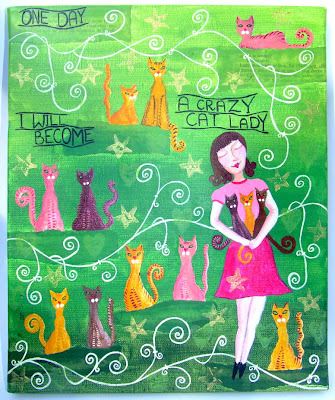 especially the crazy cat lady-i always joke i will be one. Oh, I want the crazy cat lady one too! This darn move is sucking down all my free money though :( If it hasn't sold in a few weeks maybe I can get the money together. I love the bright colors of the two new paintings. I love the cats too.